Viewpoints: live and let live – FACE THE UNKNOWN. DISCOVER THE OTHER. This is a blog about an improvisation method I love very much. About 15 years ago I discovered “Viewpoints for dance and theatre” during a weekend workshop (Wisper, Gil Renders). 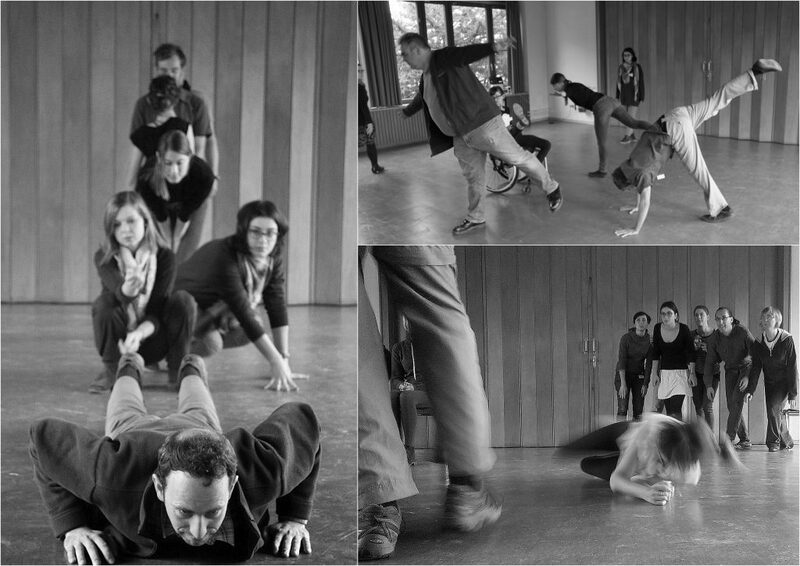 I remember thinking, after maybe the first hour of the workshop: “Whow, thís is the way to realy be aware of impulses, and experience instant decision making on what to do with it.” I had been playing improvisation theatre for a few years, and for me it was like instantly and finaly touching the essence of it. From that moment on, I never stopped using it and building upon it in my own improvisation teaching, in which I developed my own focus on “the use of bodies in space & time”. Everytime again I see how it helps people to raise their awareness on what is truly happening around and within them, and act upon it. More than, or at least on another level, when using verbal exercises. Because words easily bring you to the controlling, hesitating and judgemental part of your brain. – play with the extremities of leading and following. – feel or observe what happens in self-organizing teams (what a group doing a viewpoint-jam, actualy is). – raise (self)awareness in time and space. When teaching improvisation, I work on three levels of interaction: self, other and the whole. Especially for this last one, the whole (or “the system”), viewpoints work offers a great way to understand what that is about. Because, as a participant once said: “It just goes beyond words.” It gives us a sense of the efficiency and beauty of organisms in nature, and how we can (re)discover our own connectivity on a systemic level. 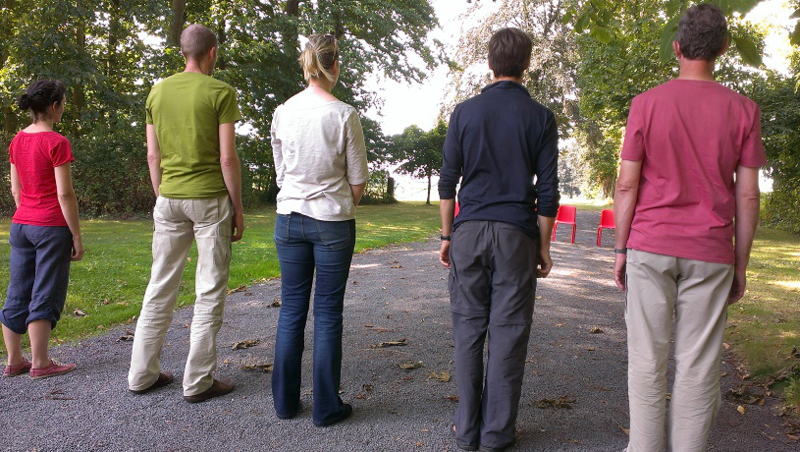 Next to bring it in improvisation theatre classes, I use viewpoints and other movement improvisation exercises as an experiential metaphor for group and teamwork in training programs about communication and leadership. It’s also always on the menu in our Living Impro programs. As we live a paradigm shift from “times of command and control” to “times of autonomy and connectivity”, people are often very enthousiast right away about the exercises. It’s such a strong way to feel how a group can achieve goals without fixed hierarchical power. Ralf Wetzel (associate professor at Vlerick Business School ) and I took a very close look at this metaphor during our project “Improvisation for managers” (Flanders Districts of Creativity, CICI-call 2015). Here’s a link to our article on it , titled “How to access organizational informality”. For a while, I’ve been very hungry to learn more about the core and origins of viewpoints , and to work with someone with a large and deep experience in it. And that is what I did in the beginning of july in a beautiful place in the south of France in a course with ten other participants. Two of them Inspinazie-collegues, so that gave an extra touch to this event. For a whole week, Deborah Black invited us to join her into different experiments. No tricks, no tools, no analysis. Opening the senses, inwards and outwards. 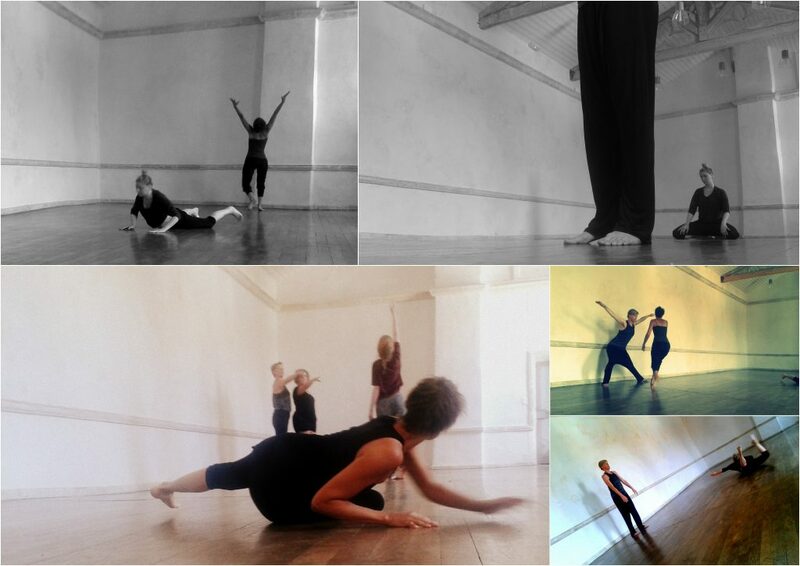 Exploring possibilities in the endless combinations of space, time, shape, movement, emotion and story. Playing with these six equal building bricks that Mary Overlie defined for dance (and life 🙂 ). Finding our own ways to bring ourselves back on track when lost in the endlessness of options. Trusting that “it will work”. Experience the amazing paradox in improvisation saying that we control it when we let the control go. Not working with it does not mean deny it or demolish it. (What often happens on improvisation theatre stages and even more in life.) I was very triggered when Deborah said in the introduction of the course that viewpoints is very ecological. Because of my own strong belief that improvisational principles have so much meaning nowadays. It’s been a whole week of actively (and more and more precisely) bring our work into the space and letting it interfere with everything around us and the work of others. I loved it and feel very inspired and grateful for the way Deborah lead this course. She practices the content right away in the way she teaches and that was the other aspect of the course I realy liked. Looking back I think viewpoints is a beautiful way to practice… “live and let live”. Thank you Deborah for this amazing week <3.